Today, in another bid to halt US support for the catastrophic joint Saudi-UAE war inflicted on the long-suffering people of Yemen, progressive House members Ro Khanna (D-CA) and Marc Pocan (D-WI), along with their Senate colleagues Bernie Sanders (I-VT), Chris Murphy (D-CT), and Mike Lee (R-UT), announced the reintroduction of a War Powers Resolution. This is the third time in three months Khanna has introduced the resolution to the House, but this time around he has the backing of the newly installed Democratic leadership under Speaker Nancy Pelosi. This is a welcome development. Recall that in November and December of last year, Paul Ryan, in a final act of his tenure as House speaker, blocked Khanna’s bill from a vote by the full House. For Khanna, this is the culmination of several years of legislative opposition to the US intervention in Yemen. I spoke to Khanna recently about the legislation, what he hopes to achieve by it, and the bill’s prospects for passage. James Carden: So I guess let’s start at the beginning, during the last years of the Obama administration. What started the crisis in Yemen was the overthrow of Mansur Hadi by the Houthi rebels, which took place over the course of 2014 through 2015. One of the common arguments for our involvement is that the Houthi are Iranian-backed, and we have to counter the growing Shia influence in the region. What did you make of that argument that we have to support the Saudis in order to counter growing Shia influence in the Middle East? 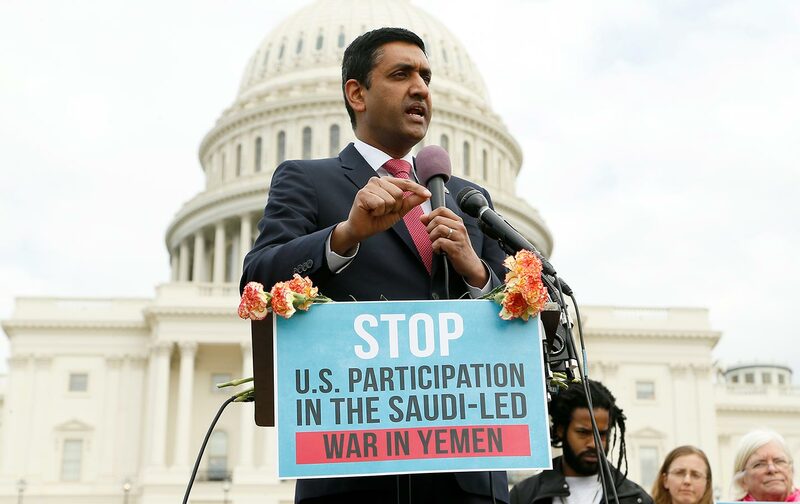 Ro Khanna: Well, it’s the wrong way of looking at American interests or human rights in the Middle East. This type of thinking has gotten us into trouble, whether it was demonizing Saddam Hussein and creating the conditions for going in to Iraq, or whether it was calling for regime change in Libya or Syria. Now the target seems to be Iran, and there is an obsession with figuring out how to confront Iran. I’m not an apologist for Iran’s actions. Iran certainly has supported activities of terrorism, and the Houthis don’t have clean hands. The Houthis have engaged in crimes too. But the idea that that justifies American involvement in a civil war in Yemen doesn’t make any sense strategically. We have no stake in whether Yemen has some Iranian influence or not. We have our counterterrorism operation there [against Al Qaeda], which no one is trying to restrict. But the irony here is that Al Qaeda is actually aligned against the Houthis. So we have no stake in whether there is some small Iranian influence. JC: So this brings us to the question of the justification that the Obama administration used, which was the AUMF [2001’s Authorization for the Use of Military Force]. Right? RK: Well, they didn’t even try to provide a legal justification in Yemen. I think they just quietly were supporting the Saudis as a token to them so that they could have the Iran nuclear deal. And they needed some flexibility. We’ve talked to some very senior Obama administration officials who said the feeling was, “Fine. We will give you some support for your campaign in Yemen. Allow us the flexibility to have this deal with Iran.” The Obama administration understood that we needed to reset the relationships with Iran. The authorization of force in Yemen allows for the counterterrorism operations to go after Al Qaeda. No one is questioning that that is consistent with the 2001 AUMF. But there was no authorization for our support of refueling and targeting to the Saudis. Now, in fairness to the Obama administration, I don’t think they anticipated how ruthless and brutal the Saudi campaign would be in Yemen. While the Houthis share some blame, no one would argue that the Saudi campaign is the principal cause. No one would argue against the idea that the Saudi campaign is the principal cause of the suffering. The Saudis are the ones who have bombed the Port of Hodeidah. They’re the ones who are not allowing food and medicine into the country. And I don’t think that the administration quite grasped the scale of the campaign the coalition would undertake or the barbarity. Now many of them regret having supported the Saudis. JC: We’ll get to the War Powers legislation that you’re introducing in a minute. But you did mention the AUMF. Your legislation doesn’t interfere with the fight against Al Qaeda in Yemen, right? RK: No, it doesn’t touch it. JC: It has to do with American support? RK: American involvement in the Saudi Civil War with the Houthis. JC: So that’s a fundamental point. Is that distinction understood clearly by your colleagues? RK: It wasn’t in the beginning. That’s why we had some the obstacles we had to overcome. But the resolution does nothing to restrict American operations in Yemen against Al Qaeda. JC: Going back for a second, to the initial Obama decision to get involved and in your own experience in trying to get the legislation passed over the past two years: What role have you seen with regard to the rather well-funded Gulf lobby here in Washington? JC: Yet the Israel lobby gets all the attention. RK: It’s a sizable lobby. Every time we were trying to get the Yemen vote, they would be out in full force with members of Congress. It’s a significant lobby, and they wine and dine staff and members. And it’s unfortunate that they have the influence they do. 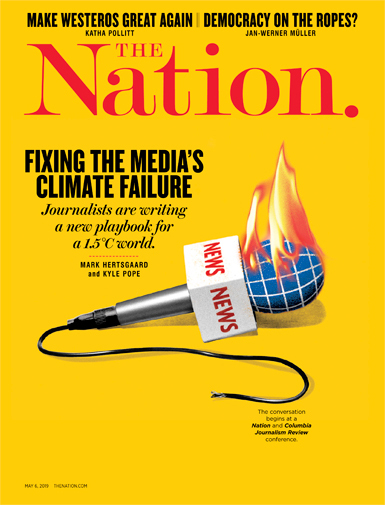 I think they suffered a huge blow, though, post-Khashoggi, where sentiments started to really turn against the Saudi regime. JC: What’s their main tool? Is it the think tanks? RK: It’s think tanks. They’re publishing op-eds in the papers. It’s influencing the foreign-policy establishment in this country. Then there are the big lobbying firms who continually make the argument that the Saudis contribute to the stability in the Middle East, that without them things would be more chaotic. JC: So your arrival in Washington coincided with Donald Trump’s. In the first years of the war, under the Obama administration, I think within the Democratic Party, you could see kind of a split. You had the Hillary Clinton/Jake Sullivan crowd that used those exact arguments. It was we needed to help the Saudis. And they were kind of winning the argument up until very recently. And the tide, I think, started to turn in the summer, the spring and summer of ’17. RK: Yeah. I introduced the resolution around the spring of ’17. And we were in the minority. But we got a key concession, a compromise resolution, HR-599, that the Congress, for the first time, acknowledged that our involvement in the Saudi Civil War was unauthorized, that we had no authorization to be providing fueling and targeting assistance. And based on that, we then went to Matt Duss [Sanders’s foreign-policy aide] and Senator Sanders and convinced them to introduce this in the Senate. And that’s really where you started to see public opinion change and people question things in the Congress. And Senator Sanders got 44 Senators to vote, I think, the first time for his War Powers Resolution. JC: So would you say that in a way the divide over Yemen in the early years was kind of like a microcosm of the general divide in the Democratic Party over foreign policy between the hawks and the doves? RK: Well, I wouldn’t say between the hawks and doves. I would say between those who believe in an interventionist foreign policy versus those who believe in a foreign policy of greater restraint and prioritization of human rights. JC: What was the struggle like within the Republican House to get an open debate on your War Powers resolution? RK: That was a very tough negotiation. It was tough because the some outside groups wanted me not to negotiate. They wanted us to just let the War Powers Resolution go down. But through the negotiation we got a compromise resolution, which the US House voted overwhelmingly to pass, that said our involvement in the Saudi war was unauthorized, that we feel it was not allowed, and that the targeting wasn’t allowed. The resolution was too pro-Iran. It exaggerated, perhaps, the influence of Iran in the region. And that’s why some groups were opposed to it. But it was a very tough negotiation. And initially, of course, the leadership was very opposed to the use of the War Powers Resolution. They didn’t think that the act applied, given that the hostilities didn’t involve ground troops. And we had to get a lot of constitutional-law professors and scholars to make our case that it wasn’t about involvement in overseas hostilities that that didn’t require ground troops. There’s a reason a freshman member our Congress was leading this, because no one else wanted to really touch it at the time. JC: Did you have co-sponsors? RK: Early on, we had maybe 20. But then, it kept building. The turning point was when we convinced Adam Smith, who was the chair of the House Armed Services Committee, and Eliot Engel of the Foreign Affairs Committee and Steny Hoyer to get on board. And that happened about a year later. JC: Right. And since then, as you mentioned earlier, the Khashoggi murder. Then you had those reports of the bombing of children and women. And that really struck the conscience of people. You had the Times and other papers start putting images of Yemeni kids starving. And the final straw was the Khashoggi murder and the fact that he was murdered because of his opposition to the Yemen War. JC: Has the role of grassroots organizations been important? RK: Huge. Win Without War, the Yemen Peace Project, the Friends Committee on National Legislation. They have all been instrumental. We would not have been able to do any of this without them. They’ve been instrumental in the drafting of the legislation. They’ve been instrumental in making sure members were aware of the legislation and convincing members to support the legislation. There’s also, of course, Keane Bhatt, who is the fellow at the Congressional Progressive Caucus. He single-handedly has been pushing this and pushing me, pushing Sanders. And then he’s been working very closely with my team. JC: Now, you’ve tried to get the resolution passed before. Am I getting this right, in November and again in December? JC: And the way that the GOP House leadership killed it off was kind of unbelievable. RK: They knew they were going to lose the vote because there were Republican defections. People like Mark Meadows, who were going to vote with us, and Thomas Massie. And so they had to find a way to win the vote even though they had Republican defection. So they didn’t allow a straight up-or-down vote on Yemen. They made the vote on Yemen part of a vote on whether you believe wolves should be an endangered species. And half of Congress didn’t even know that they were voting on Yemen. They thought they were voting on the Endangered Species and Wolves Act. JC: It seems sort of extreme. Was that carried out on Ryan’s direction? RK: Yeah, I think Ryan. He really does not believe that Congress should be interfering in the Executive Branch’s prerogative in Middle East policy. He may support the alliance with the Saudis geopolitically. JC: So it’s more of a philosophical objection? RK: I think with him, it genuinely is a philosophical objection. I think he really believes that the US should be aligned with the Saudis for strategic interests and the War Powers Act doesn’t apply in this case, that it’s not our ground troops, so then we’re hurting the Executive Branch’s power. And he’s sort of influenced by the people from the Project for the New American Century, and believes in the projection of American power overseas. JC: We’re getting to the end of out time here so I’m going to just pivot quickly away from Yemen and just end on sort of looking at the big picture, since we’re at the start of a new Congress and there is a lot of excitement over the incoming freshman class. Do you think that the prospects have improved for people like you and Mark Pocan and Barbara Lee and Tulsi Gabbard to promote a saner, more ethical and realistic US foreign policy? Have you noticed much interest yet on the part of the freshman class? Or too early to tell? RK: Yeah. There is definitely a greater role for Congress, and not just the progressive freshman who were elected, but also from people like Andy Kim, who was in Obama’s State Department, and Tom Malinkowski from New Jersey, who worked for Human Rights Watch. I’ve heard that they also want someone to help push for more accountability of the Executive Branch. And so I think that there is a greater number of members of Congress who believe in our role in foreign policy. Ted Lieu has played a very constructive role, for example. So we’re going to have more people like Ted in Congress. And so I’m encouraged by both the direction that people are pushing the party to take on foreign policy, promoting restraint and human rights and with the sense that they want Congress to play a much bigger role. JC: Well, I think we’ll end there. Thanks for your time, congressman.